The membership of the Veterinary Schools Council (VSC) is made of the heads of seven UK veterinary schools offering degrees accredited by the Royal College of Veterinary Surgeons. VSC also represents two non-UK associate members: the School of Veterinary Medicine, University College Dublin; and the Faculty of Veterinary Medicine, Utrecht University. VSC provides a source of informed opinion on matters concerning veterinary education, from the welfare of its students and academic researchers to its links with government and industry. It engages in representative and policy work to ensure that the voice of UK veterinary schools is recognised for its experience and will to innovate. 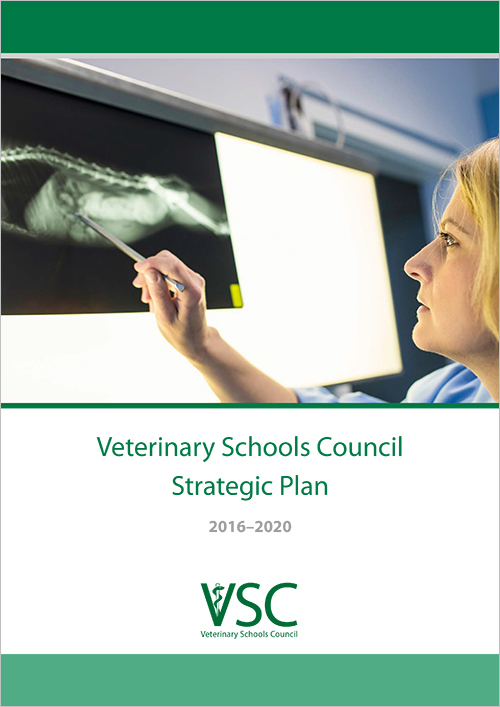 VSC was created in 2014, continuing the work of the Heads of Veterinary Schools. As of 2014 it has a dedicated secretariat which works to coordinate and promote its output. To promote international recognition of the UK veterinary schools for their excellence in education, research and clinical service. To advocate, challenge and develop excellence in veterinary education, research and clinical service for the benefit of animal health and society. We believe in collegiate, democratic, collaborative working to ensure maximum efficiency and effectiveness of our resources. Although we are independent members we work together with mutual respect, trust and understanding to ensure evidence-based outcomes for veterinary education in its broadest sense. Our underpinning culture is one that values and champions diversity and maintains constructive advocacy.